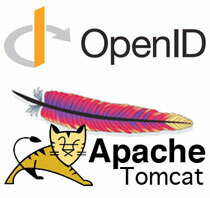 Get It Now: OpenID Authenticator for Tomcat | Boyle Software, Inc.
Boyle Software is proud to announce the release our new OpenID Authenticator for Tomcat. Available to the open source community now for immediate use, the Authenticator allows Web applications to delegate user authentication to a third-party authority, called “OpenID provider,” obviating the need for repeated logins across various applications and websites. Some examples of OpenID providers include Google, Google Apps, Yahoo!, VeriSign, and myOpenID. Read more about the OpenID Authenticator on Boyle Software’s Wiki or download the package now from our Github page.